Comedy Nights with it’s success has broken many set rules of comedy on Indian television – and may have changed it for good. The Show has become what Saturday Night Live is for US television. 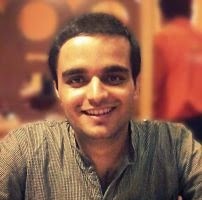 Though stand-up comedy is not new for India – but after Great Indian Laughter Challenge ended the same lot of comedians was being circulated forever in formula-driven unfunny shows – with ridiculous judges like Archana Puran Singh who’d laugh at anything, literally any crap joke with set her ROFLing. And by default like all reality shows – everybody got a standing ovation with the score 10. 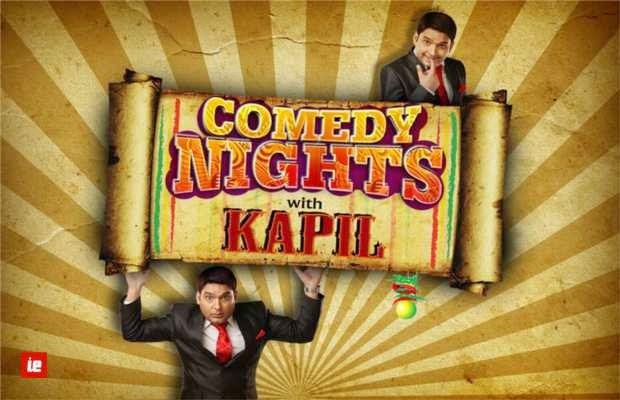 The first half of the Comedy Nights is a funny skit with regular characters – and the second half is entirely dedicated to movie promotion – which I believe also produces a big chunk of revenue for the show. Film promotion on TV content is nothing new for Indian TV. In fact, has been abused so much to turn entire episodes into a big promotion events – so much that the viewer feels cheated. Kapil very intuitively takes movie promotion on prime-time TV to the next level – by turning it into entertainment. Kapil Sharma was advised against producing another comedy show seeing how similar shows were losing audience due to mediocre programming. But with a strategic format Kapil has proven himself an excellent producer, besides a great stand-up comedian, actor and most surprisingly a singer! Comedy Nights has left big shows like Salman-powered BiggBoss and Amitabh-powered KBC way behind in the race for TRPs. The envy is often clearly visible on the faces of many celebs who yearn for similar success with Indian audience. What makes Comedy Nights successful is most importantly the content which prioritizes entertainment over everything else. We’ve watched entire weekend episodes BiggBoss being wasted on lame (and boring) film promotions. The audience feels cheated when promotions (and revenue) take precedence over entertainment and core-programming. Many elements of the show come together to make it a success. Gutthi and Palak are two characters which really deserve a mention. Their popularity has grown so much that the show can’t be complete without their presence. Apparently, men doing comedy in a drag has endless comic appeal for Indian audience. Both these do the act really well – so much that you often forget that they aren’t two funny weird small-town girls but men in drag. Even when the camera isn’t on them – you could see them in the background ‘killing’ the audience with their comic antics. Siddhu’s presence may appear lame to many – with all the shero-shayri that goes over the head. But apparently, he gives audience the much needed break to breathe between the endless laughter. Since silly-Siddhu’s dumb-cracks get a lot of camera – production makes sure there’s a line of relatively pretty girls in the background – since we know Kapil’s love for ‘glamour’. What many may not know that even though the show is thoroughly rehearsed with the celeb guests beforehand – a lot of improv happens on-stage, Gutthi and Kapil are especially good at it. Audience too loves to be ragged during interaction that they don’t shy from showing their silliest sides. Kapil never misses to invite the most odd elements from the audience to show their ‘talents’ on stage. Audience too acts extra idiotic in the whole idiotic-atmosphere. If you have to ask Kapil about what he does on his show, in one line – it would be that he invites celebrities and makes them hilariously uncomfortable. Probably that’s the reason so many celebrities actually follow his show. Once you’ve been on Comedy Nights as a guest – the experience itself makes you follow it. No doubt Kapil got so much support from the celebrities when his set was destroyed in a fire-accident. Lata Mangeshkar and Shahrukh Khan made personal calls to offer monetary help. Most important than anything else, Comedy Night’s success has broken many myths about Indian audience. A show doesn’t need to add regular dosage of sappiness or negativity to get noticed – sheer commitment to provide genuinely good entertainment can make it big too. Kapil has stated that many times while staying away from controversies that he wants fame but for his work.